Belonging to the Kerama Islands, Geruma Island, the smallest of the inhabited islands in Zamami Village, is connected to Aka Island by bridge. 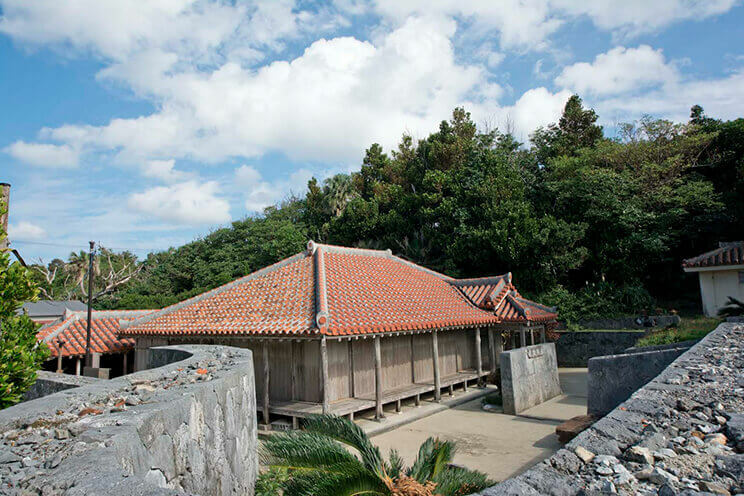 During the Ryukyu Dynasty, Geruma Island was a relay point for ships sailing between China and Naha. 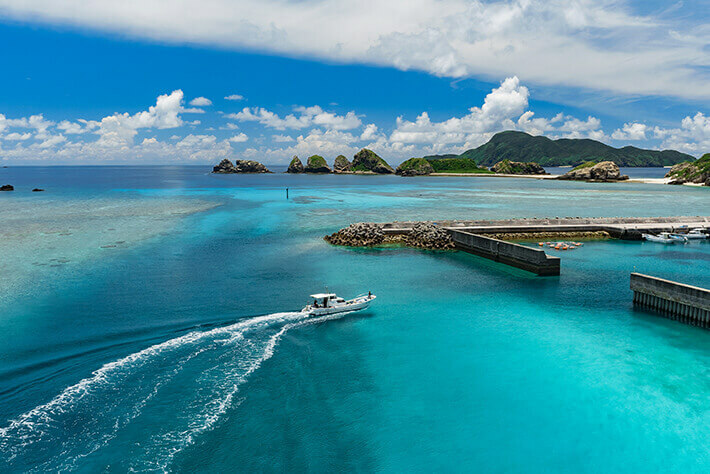 As there were many reefs around the island, it was necessary to be accompanied by an excellent sailor, and Geruma Island prospered as a boatmen village, similar to other islands belonging the Kerama Islands chain. As you cross the Aka Bridge and move along the coast, you will come across a settlement. When strolling through the quiet village and fields with the Fukugi trees standing tall, time flows slowly, creating a somewhat nostalgic feel. The nature on the island remains untouched, as it is a protected area for the local Kerama deer population, which have been designated as a national Natural Monument. 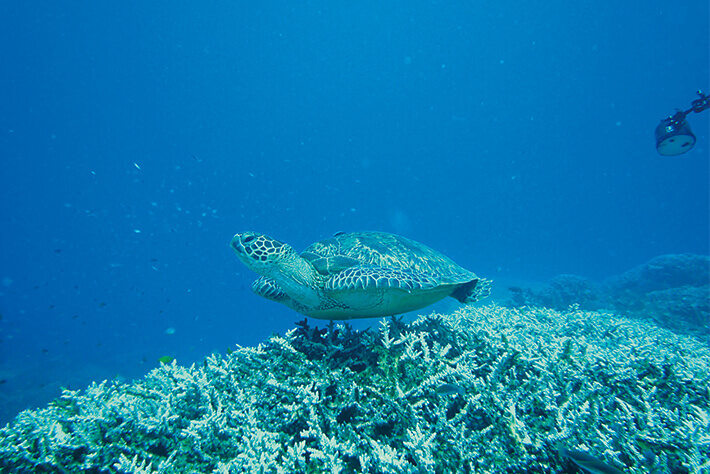 During the time of the Ryukyu Dynasty, the Kerama Islands flourished as a relay point connecting China and Naha. 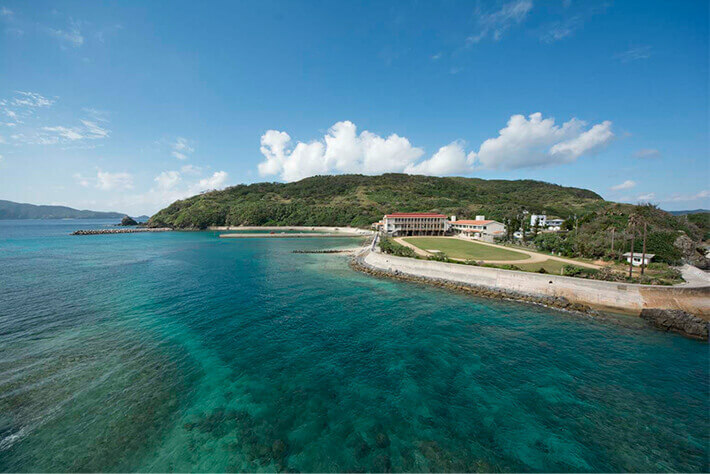 Geruma Island developed as an island where excellent boatmen gathered and the House of the Takara Family erected in the village is said to have been built by Peechin Nakandakari, a chief boatman. 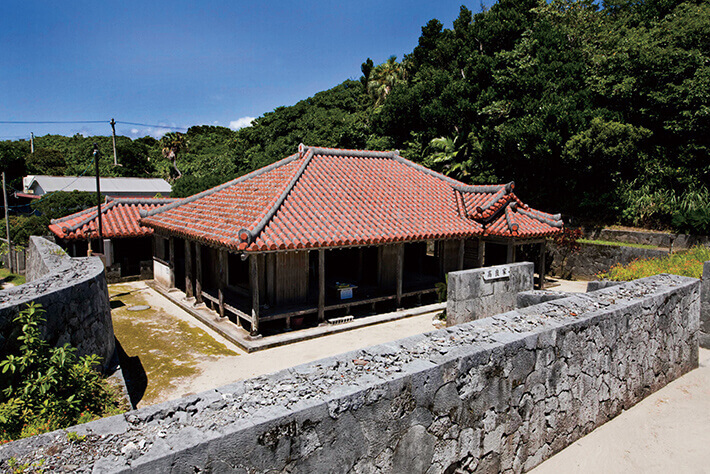 With its unique limestone walls and “hinpun” (a privacy wall that stands before the entrance), this prestigious residence built in traditional Ryukyuan architectural style has been nationally designated as an Important Cultural Property. Despite being exposed to fire during World War II, the building has maintained its original appearance and is considered a valuable cultural property. Traces of artillery from the war can still be observed to this day. 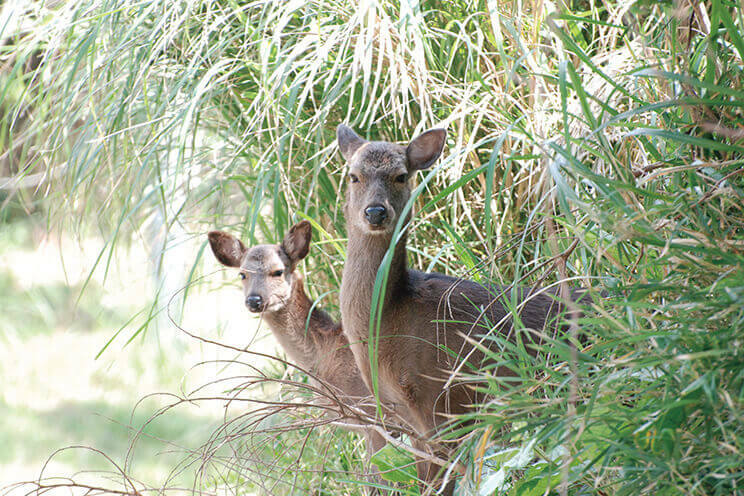 Literature exists to this day showing that, during the Ryukyu Dynasty, Kerama deer were brought from the Satsuma Province (now Kagoshima Prefecture) and released in the Kerama Islands. Not long after, the deer became an endemic wild species adapted to the island. Because both the population and environment are limited, the deer have been designated as a Natural Monument and nationally protected species. With large eyes and a white heart-shaped pattern below the tail, the deer carry a distinguishable cuteness. 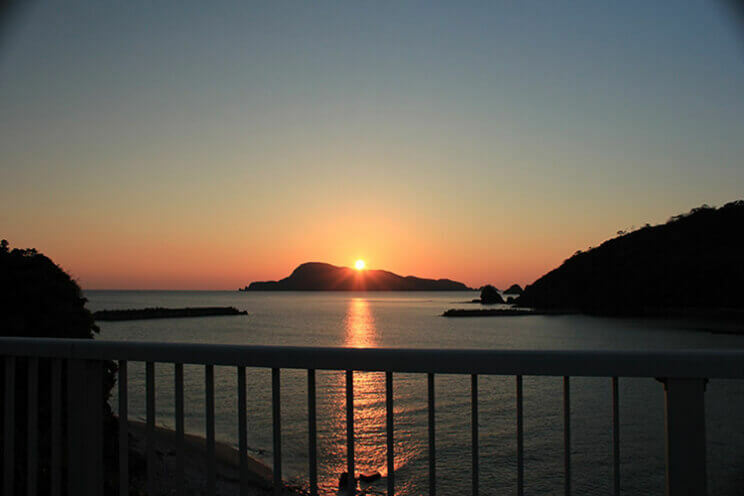 Geruma Bridge, the bridge connecting Geruma Island to Fukaji Island, is a spectacular location to view the sunset. Although the direction in which the sun sets varies depending on season, a beautiful, scenic sunset can be seen throughout the year. There is very little traffic over the bridge in the evening, so it may be possible to have an uninterrupted view of the setting sun. Try also taking a stroll around the island, and you’ll surely find your own favorite sunset spot! You can reach Geruma by having the inn you are staying at take you there, or a on rental bicycle. 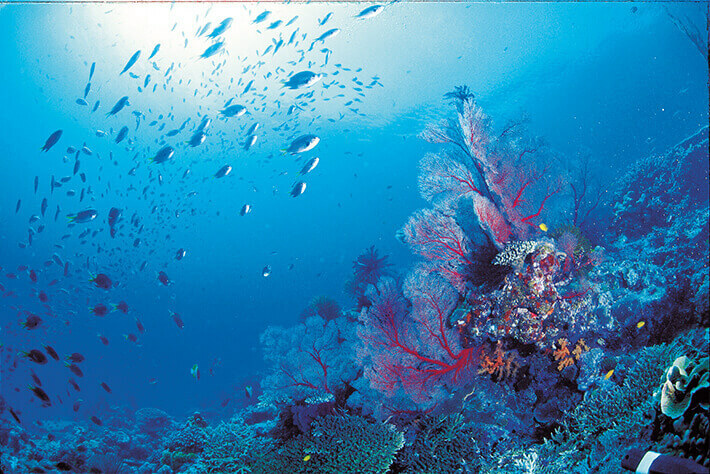 If you need more information, Ask Be.Okinawa Multilingual Contact Center!